Turns one tap into TWO! The Holman 2 outlet metal manifold converts one garden tap into two independent manually operated outlets. 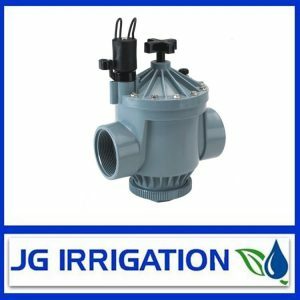 It’s ideally suited for connecting to garden hoses, dripping/porous hoses, poly pipe or inline drip systems. Made from high quality die cast metal, this manifold is great for any home garden. Both outlets come with a male threaded end to allow you to attach onto a variety of fittings: Plastic, brass, barbed or click on style. This manifold includes one 12mm snap-on adaptor. Each outlet can be operated independently via the extra large shut-off levers which control the water flow from ON to OFF. Operating a Holman 2 outlet manifold is simple! Use either outlet individually or multiple outlets at once. This gives you great flexibility. The manifold can be fitted to either 3/4″ or 1″ tap using the adaptor bush. The large diameter inlet nut is easy to grip & extra tabs which help tighten against the tap outlet to ensure no leaks. For the best care of your manifold, avoid leaving it under pressure for extended periods. Ensure your garden tap is turned OFF when watering is not required. Outlets: 2 x 3/4″ BSP male thread.